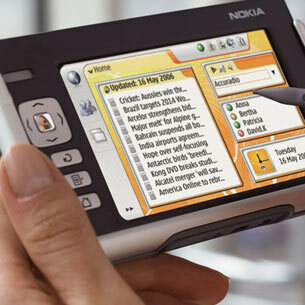 Released five years ago, Nokia made a bold move by offering a mobile device running on Linux at a time when most OEMs were still too scared to talk about offering open source on a desktop. Major features included Internet Radio and an RSS News reader. 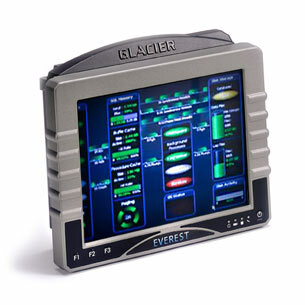 Glacier Computer introduced a handheld tablet PC in 2008 called Everest that included a specially designed heater to protect a touchscreen from retaining moisture when you move it from a cold environment to a warm environment. The heater could also adapt the screen temperature to the surrounding environment, preventing moisture on the screen from condensing. Perhaps they had Canadian winters in mind. 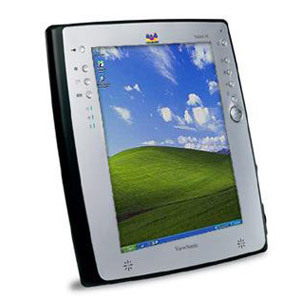 When Microsoft launched its Windows Tablet PC edition in the early Aughts, Viewsonic raised some eyebrows by expanding beyond its traditional monitor business by offering in 2002 the V1100, a full-fledged computer with integrated WAN, LAN and Wi-Fi. Although some reviews were good, it was criticised for being too heavy and a bad battery. 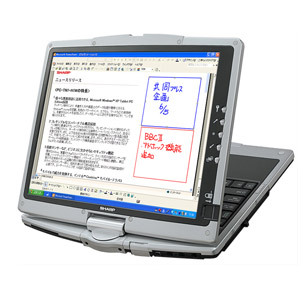 At least the name was cool: Sharp’s PC-TN1-H1W Mebius Muramasa in 2003 was based on Intel’s Centrino package of Pentium M processor, Intel chipset, and Intel wireless networking adapter. 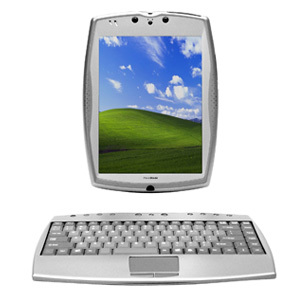 Like many such tablets at the time, it also featured the “swivel” design that could turn the device into a regular-looking notebook. 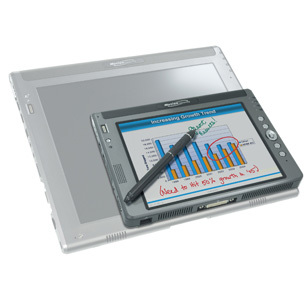 Paceblade Technology was among the vendors in 2001 to take advantage of the “digital ink” in Microsoft’s early Windows Tablet PC Edition that gave users the option to take notes and mark up documents in their own handwriting. Turns out most people prefer to simply press buttons on a touchscreen. Often considered fairly rugged and compact, the Acer TravelMate C100’s only drawbacks, according to at least one review, was a loose display hinge and a tendency to heat up fairly quickly. Oh, and a certain lack of marketing momentum. 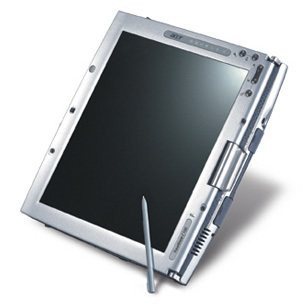 While many users probably live in fear of dropping their Apple iPad, early tablet OEMs realized there were probably use-case scenarios where durability was paramount. 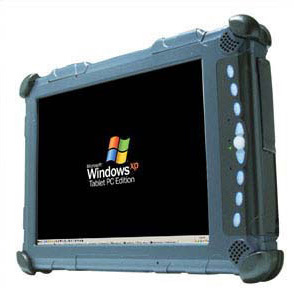 That was the thinking behind Xplore Technologies Corp.’s Rugged Tablet PC, which launched in 2002 and which could, according to the vendor, withstand submersion in 30 centimeters of water for 30 minutes, blowing dust, vibration, altitude, solar radiation and salt fog. Market competition? That was another matter. 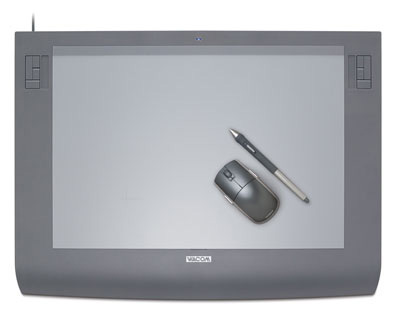 When a firm called Wacam released the Intuos tablet, early reviewers thought might make the keyboard obsolete. Ultimately it might have been too ahead of its time. There was apparently little support for features such as axial rotation (the ability to sense the mouse’s pointing direction) and the use of two pointing devices at the same time. 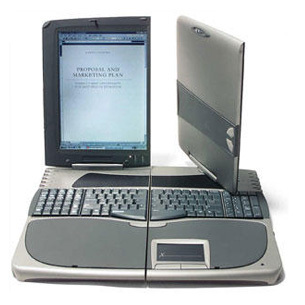 Described in 2005 as “a new class of ultra-portable,” Motion Computing’s LS800 looked a lot like some of the slates we see now. Notable features included a radio button to turn off signals on board airplanes or in hospitals, and voice dictation for forms data entry. Easily one of the most innovative tablet designs ever, Xentex Technologies’ Flip-Pad Voyager W could be unfolded twice, creating a combined viewing area of some 20 inches. Sure, it weighed 12 lbs, but with a 1.6GHz AMD Athlon, 512MB SDRAM, and 16MB of video memory, this was a powerful machine.